Wait, where are you going? Get back here! 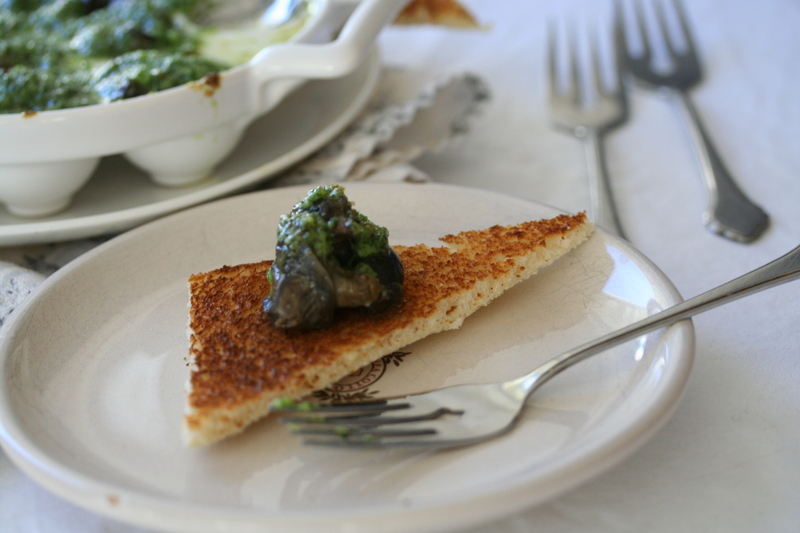 At the risk of sounding like your Mother, have you tried escargot yet? All those who have, and didn’t like it are free to go. Everyone else, just hear me out. Escargot is a farmed ingredient, like chicken for example. People don’t just go picking up snails out of their garden. Escargot is not fancy shmancy food. It started out as a starve or eat snails kind of deal. Of course the French being French, made it taste wonderful and so became a “delicacy”. Alright, I’ll jump off my soapbox now. 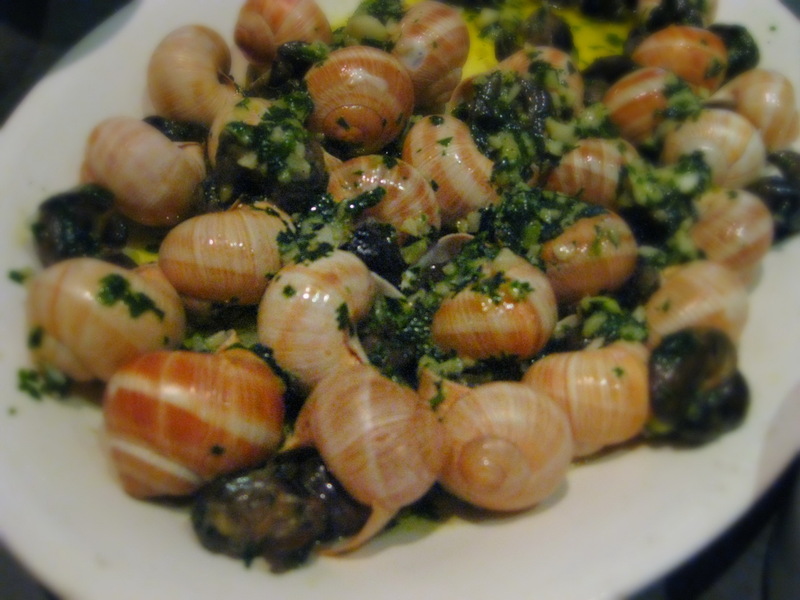 I first learned how to make escargot when we were in Paris. 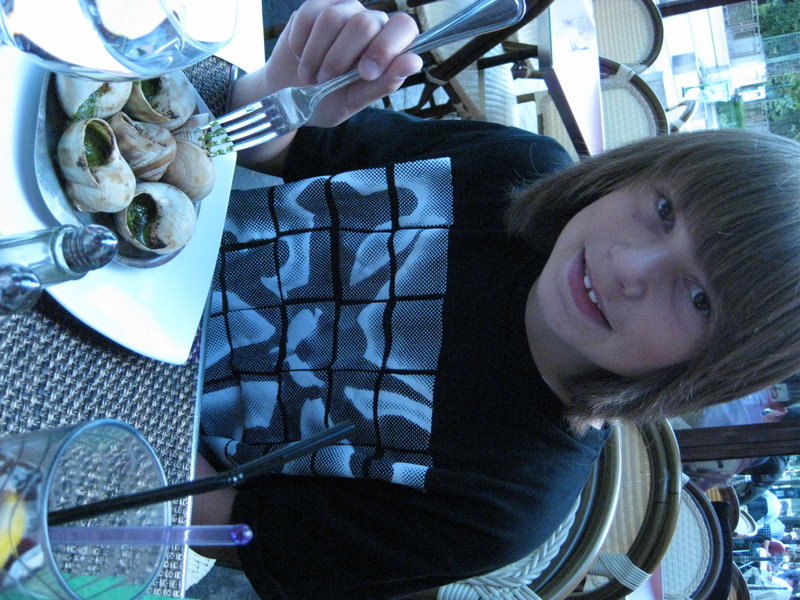 It was Gavin’s birthday and he wanted escargot. That’s the deal around here; it’s your birthday you can have anything you want. Put the parsley, garlic, herbs de Provence, salt and pepper in a food processor and process until finely chopped. Add the softened butter and process until the butter and the herb mixture is well combined. Place the mixture in an airtight container in the refrigerator. It will last about a week in the refrigerator and about 3 months in freezer. Slice the baguette into about 1/4 inch slices and toast on both sides under the broiler for about 1-2 minutes. Cans of escargot can be bought in specialty groceries or online. The size and quantity of the cans of escargot vary widely, buy enough for the recipe. Drain then rinse the escargot in cold water and set aside. I’ve tried the traditional method of serving escargot in the shells, but for a party I skip that step and get on with the important things, namely, the garlic butter! 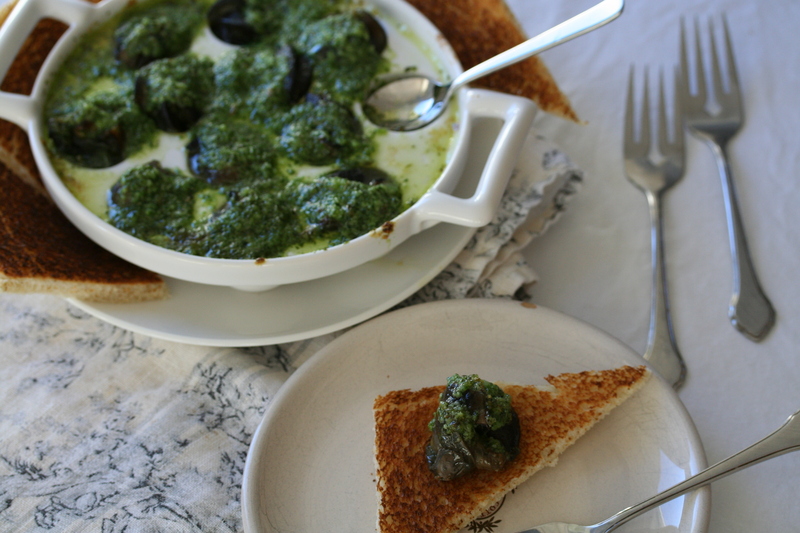 Place the rinsed escargot into an escargot dish, one little snail per hole. 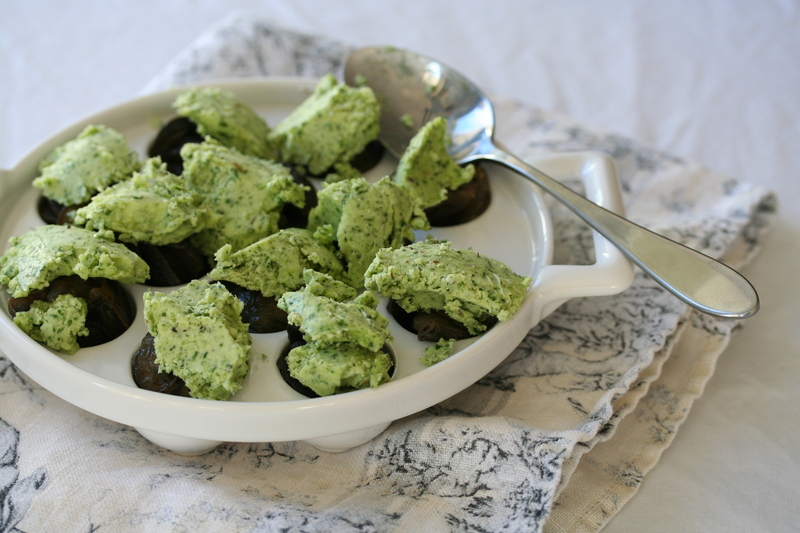 Add 2 teaspoons of the herb butter mixture to the top of each escargot. Place under the broiler for about 3-5 minutes, or until the butter is melted and slightly browned and the escargot is hot. Serve with the toasted baguette. When you need more, simply repeat the last steps as many times as you need.